The Nez Perce, who call themselves the Nimiipuu, meaning “The People”, seem to have come down from Alaska to the Pacific Northwest about 10,000 BC, or even earlier. Some time later, maybe around 3000 BC, this group split off from the Chinook and other people, and moved further south and west, into what is now eastern Oregon, eastern Washington, and Idaho. The Nez Perce lived along the banks of the Columbia River and the rivers that flowed into the Columbia, and, like their Chinook and Shoshone neighbors, they fished for salmon in the great river. 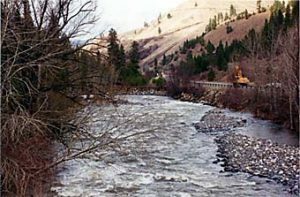 Once the salmon were finished running, the Nez Perce also hunted deer, elk, and wild sheep, travelling west into Montana and Wyoming. They ate a lot of camas, which is related to asparagus, but you eat the root, so it’s like yuca root or potatoes. Camas tastes something like onions. They also gathered many different kinds of berries, pine nuts, and wild sunflower seeds. At this time there were probably about 6000 Nez Perce people in all. The Nez Perce lived in longhouses in settled villages, but they also traveled to different camps to harvest food there as it came ripe. 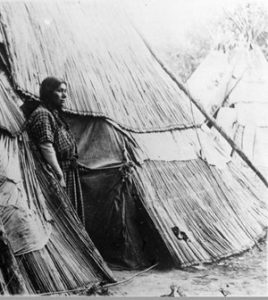 When they were traveling, Nez Perce people camped in tipis. They covered the frames of both longhouses and tipis with woven grass mats. Cite this page: Carr, K.E. 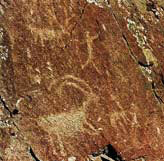 Nez Perce history – Native Americans. Quatr.us Study Guides, August 9, 2017. Web. April 20, 2019.